How does The Trading of Carbon Credit? Home » Carbon Credit » How does The Trading of Carbon Credit? Hello friends, again AkhmadShare.Com in this time will discuss the article on "How does The Trading of Carbon Credit? ", hopefully this can provide benefits to you, here's his review. Carbon trading (trading carbon credits) is an approach to control greenhouse gases and carbon emissions by providing economic incentives for those who succeeded in lowering carbon emissions. In General, there are two main systems in the trade, the ' cap and trade ' and ' baseline and credit '. Sometimes both types of these schemes can be applied simultaneously in the emissions trading system. For example, the Kyoto Protocol places the good scheme ' cap and trade ' for developed countries as well as a baseline and credit ' scheme ' to emission reduction projects in developing countries. This is called the Clean Development Mechanisms (Clean Development Mechanism). Emissions trading may be mandatory – required by Government and/or the makers of regulation – or voluntary. In the system of ' cap and trade ', a central authority (usually a government agency) determine limits or ' cap ' is the amount of carbon that can be issued. Countries and/or companies are then allowed to remove greenhouse gases (e.g., carbon dioxide) up to the amount that is restricted. If carbon emissions are higher than the limit, then the countries/companies need to buy carbon credits to be taken into account with their emissions. When the amount of emissions is lower than the specified limit, then the country/company is allowed to sell the difference between actual emissions and limit allowed for them in the form of ' carbon credits ' (thus they gain an incentive financially over their emission reduction). Based on a system of ' baseline and credit ', a group or company that does not adhere to the system of ' cap and trade ' can create credits by reducing their emissions below a baseline scenario ' level ' (business as usual). One example is a company that swapping fossil fuels (such as diesel) with renewable energy (such as biofuel from castor oil). 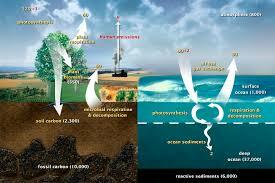 The baseline for the company are the emissions from diesel that has the output (output) of greenhouse gases. At the time replaced with biofuels, the amount of emissions is much lower and the difference recorded between the amount of emissions (carbon) can be expressed as carbon credits (which can then be sold on the international market). This provides incentives for development of renewable energy resources and the reduction of emissions. How big is the trade value? According to the World Bank, in 2008, the global carbon market growth to reach US $126 billion, from US $63 billion in 2007 and nearly 12 times higher than the year 2005. As much as 4.8 billion tons of carbon dioxide, the main greenhouse gas that is considered as the cause of global warming, traded last year, rose by 61 per cent of the amount of 3 billion tons traded in 2007.